"It's fun but sometimes the vocabulary is hard," says Nina. "Words like 'fugitive' and 'tentative' are in our homework and we learn them. When we learn Mandarin it's hard to pronounce but it's fun!" "I like looking at my grades. When I look at the good grades I get it makes me feel good," she continues. Gesturing to her desk buddy Saira, she says, "It's our first year here, so we don't know what challenges are coming our way, or what friends we'll make and stuff." "Right now, we're doing the Olympics!" Saira says. "We have games like boxing, where we have to do vocabulary from a box." "I like how we get more experiences," says Isabelle. "I like art. We get to learn more techniques, like shading and blending pastels." "My favorite subject is art," agrees Angela. "It inspires me that with strokes you can make such beautiful pictures. We did the Keith Haring project, we were able to use watercolors to paint a picture. Mine has an angel under a rainbow with people dancing." "They're really amped to be in there," Subject Expert Teacher for the Visual Arts, Mr. Harter, says of third grade. "They're thirsty for creativity and a way of expressing themselves. I think the Keith Haring project was successful because we focused on community. What is community? Where is your community? They understood that BASIS Independent Fremont is their community. Art can make people aware of how we're connected as a people, and serve a purpose beyond itself. This project had more meaning because the students know multiple people will see their work and be affected by it. This starts the conversation of why art is important in the larger picture of the world, and when they did the project they were more invested in it." "We have a fun teacher and I like Humanities," says Ishaan B. "It has a lot of activities in it. And Connections! We're preparing for International Day and then we have the Olympics. Ms. Castilla is going to give us a word and then we have to write it down." "I don't like third grade, I love it!" says Fendi. "The teachers and classes are awesome. I like Connections and PE and Humanities." "In third grade, we have a good teacher. Ms. Castilla teaches Connections. I like Humanities and Math. We did a fun map project in Humanities. In my group, we made our own map and landforms and we followed it," says Vivaan. "With the topics that can be boring, I try to find ways to engage the students," says Ms. Wagner, Subject Expert Teacher in Humanities. "In the group treasure map project, they had to use cardinal directions and map vocabulary but apply them practically. We recently learned genres, and for that, we had an interactive Jeopardy game and they created flipbooks with genres and definitions. I try to give them more ownership of showing their knowledge beyond just tests." "I like Engineering," says Dirac. "We get to do more stuff like projects. We were making aquaducts!" "I prefer Engineering because we learned about simple machines and aquaducts and water filtration and those projects are very fun!" says Aiden. "Everything is experiment-based," says Engineering Subject Expert Teacher Mr. Huneycutt. "Aquaducts were a team project, collaborating with a partner and allowing for creativity within requirements. Ms. Castilla suggested aquaducts because her class was learning about Ancient Greece and Rome in other classes. Students are able to discover and learn things through experimentation. I've done concept work and the next day they don't remember it, but if they're hands-on, it sticks with them." "Third grade is harder in math," says Lucas. "Math has more questions," says Diroc. "And we have homework on weekends." "We have math from a book!" says Isabelle. "It's nice!" "We have the most fun teacher in Math, Ms. Small," says Vivaan. "Third grade is the jump from worksheets to using the Saxon book," says Subject Expert Teacher for Math and Science, Ms. Small. "They learn to be thorough with math, such as how to show all their work, which will help them in the long run. They're more responsible for their work and their homework." 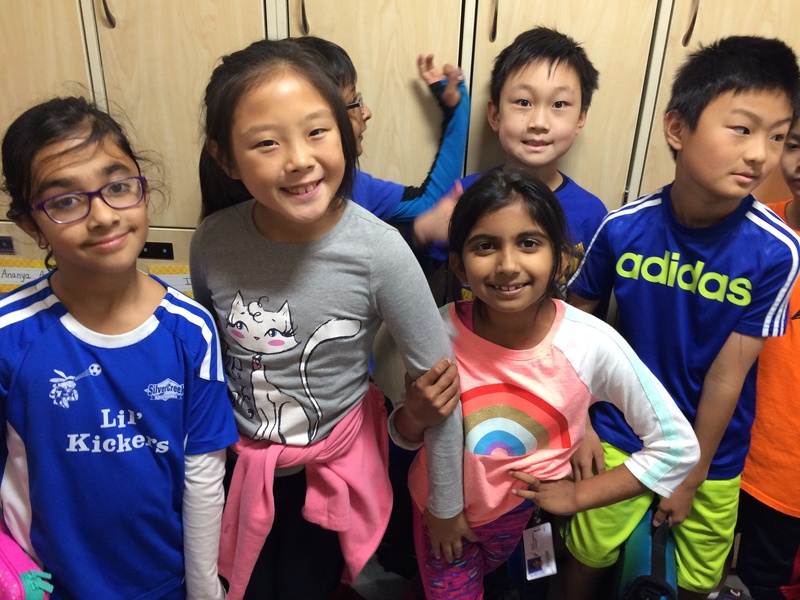 "I like Phys Ed because we are doing sports and we do all sorts of sports," says Aiden. "I'm excited for basketball!" Several students also expressed appreciation for Phys Ed class. "I incorporate teamwork and participation," says Mr. Miller, who runs the third grade Phys Ed class. "And getting them to channel their competitive spirit productively. A lot of what I do is teaching them how to treat your friends and have fun together." "It's very fun," says Angela. 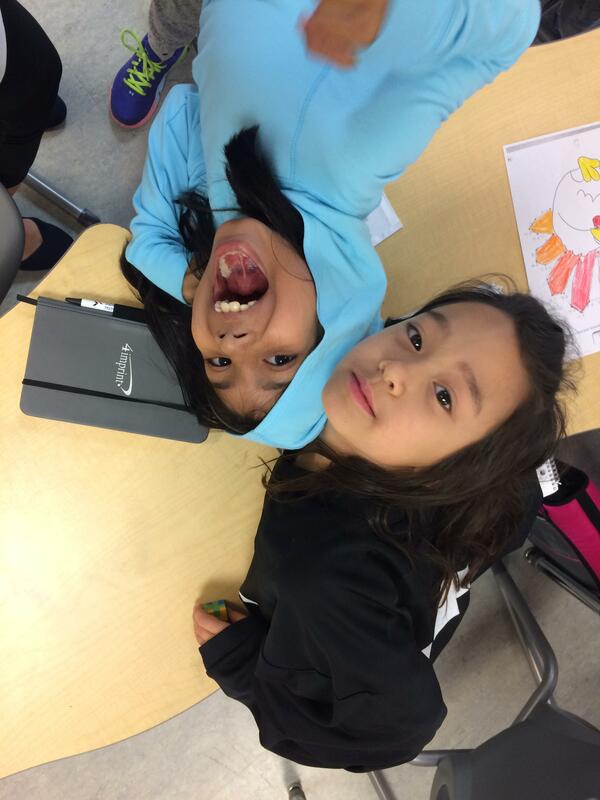 "Ms. Castilla is very funny and makes the class fun instead of boring. Everyone is hoping Ms. Castilla will be our fourth grade teacher too!" "My philosophy is all about fostering independence and autonomy in their learning," says Ms. Castilla. "For example, we're picking countries to research for our International Day event, and after presenting an introduction about each option, I let the students pick their country to make their project about. In my own learning, it was always better when I could pick my project. I tell my students, I will guide you and get you what you need, but this is your project. 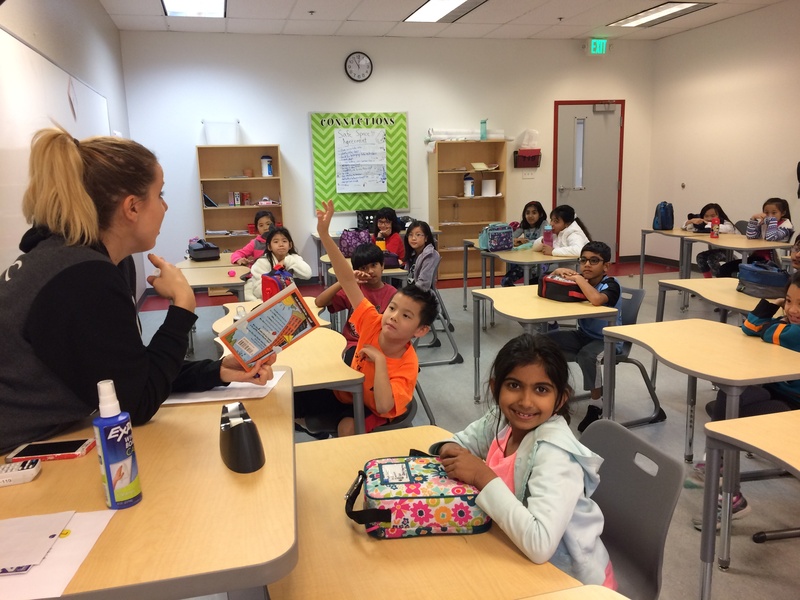 The nice thing about working at BASIS Independent Fremont is the autonomy they give the teachers, in terms of choosing the medium in which the students learn. I pick things that mirror the interests of my students so they stay engaged." 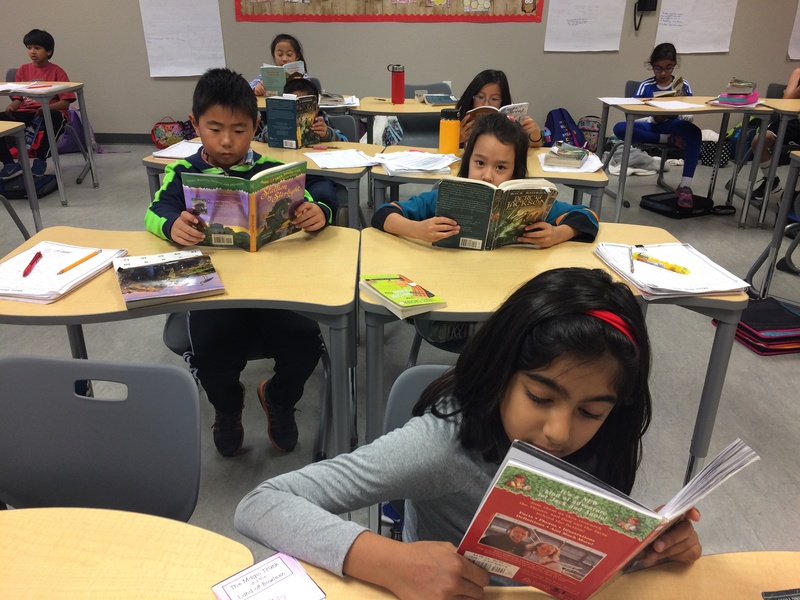 Our third grade curriculum allows students to gain more ownership of their education, while giving them opportunities to explore their interests and face new challenges. With the support of their enthusiastic teachers, they have fun learning every day!